For home visits as we are only minutes away from Birmingham, we can travel to you when required. All dog behaviour problems are considered, whether it be a puppy, an old dog or a rescued dog. Our centre is based in Redditch which enables us to give care and dog training to a broad area including Birmingham, Solihull, Redditch, Worcester, Alcester and Studley. We can help with any types of dog behaviour problems at any age of your dog, from puppy to full adult. We also specialise in rescue dogs from unknown backgrounds. Dog Training sessions usually last for around 45 minutes- 1 hour, depending on the complexity of the problems these maybe extended. 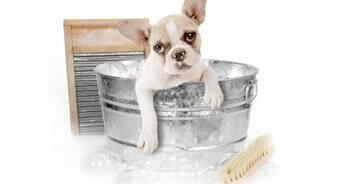 A modern, fun and luxury dog grooming parlour, designed with your beloved pet in mind. We aim to change what was once a difficult…. 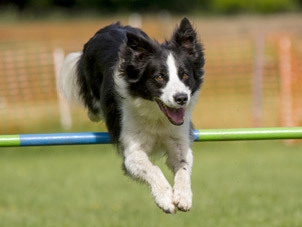 Experience the many benefits associated with regular dog agility training sessions Redditch at Maisies Pet Boutique. It will help your dog keep fit, healthy and active but also help with better handling and obedience.